Get fast streaming with advanced mobile Wi-Fi. The NETGEAR Mobile app offers the easiest and most convenient way to interface with the Nighthawk. LTE Mobile Hotspot Router manage WiFi connections for all your devices, configure settings, check data usage, play media files, and set up parental controls. VIEW AND PLAY STORED MEDIA FILES. NO SOFTWARE INSTALLATION, SHARE WITH UP TO 20 WIFI DEVICES. Max 1 Gbps download speeds & 150 Mbps upload speeds LTE CAT 16, 4-band CA and 4x4 MIMO Up to 4X Carrier Aggregation and LLA LTE/4G 1/2/3/4/5/7/12/14/29/30/66 3G 2/4/5 IPV6 Support. Dimensions: 105.5 (L) x 105.5 (W) x 20.35 (H) mm Weight: 240 g (with battery) Battery: 5040mAh for up to 24 hours of use. 24 hour battery life is achieved by the following worst case: stream YouTube for 1 hour followed by 30 minutes idle time and then repeat for over 24 hours. Netgear® Nighthawk® M1 Hotspot Router with 1 Month of AT&T Unlimited Data. 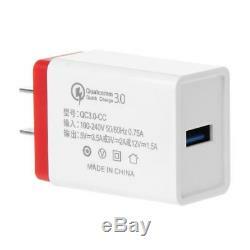 Qualcomm® Quick Charge 3.0 Charger Included. 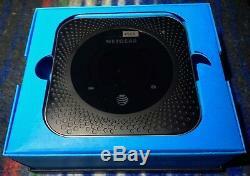 Up for Sale is an AT&T-Branded Netgear® Nighthawk® M1 Hotspot with an AT&T Unlimited Domestic Data Plan Activated. The first month includes both the hotspot and the first month of unlimited cellular data. Enjoy up to Gigabit LTE... At speeds of up to 1000 Mbps (Gigabit / 5G LTE Category 16 speeds) - you can also pop the SIM into your tablet or LTE device for at-home internet!! With Unlimited Data, you can cut the cord, and use all the internet you want. The Netgear® Nighthawk® works with both Wi-Fi, as well as Ethernet and USB tethering - so you can truly harness all 1,000 Mbps of data download potential (cell tower speeds will vary - you may not see 1 Gbps data for awhile - but this is the hotspot that is going be future-proofed for years to come). Like all plans on AT&T, you get all the unlimited data at 5G Evolution (Gigabit LTE) speeds. You can use an unlimited amount of data - forget counting gigabytes!! You can use it for home internet too and cut the (cable) cord! That's because the Nighthawk® M1 also includes a Gigabit Ethernet port, built right in, alongside a USB-C port for tethering to laptops on the go. The device and data is no-contract, managed locally. You can keep the hotspot and renew with AT&T using current plans too. Qualcomm® Quick Charge 3.0 Charger Included for AT&T Nighthawk® AC Power Operation without Li-ion Battery Installed. The Netgear® Included Power Supply will Not Work in this Case. Netgear® Arlo Camera Not Included. 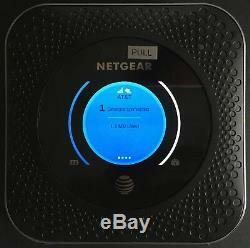 ORIGINAL NETGEAR® NIGHTHAWK® M1 AT&T USA MODEL Version 2 Band 14. WARNING the Australia Telstra and China Telstra Versions are not Designed for AT&T Cellular Bands. 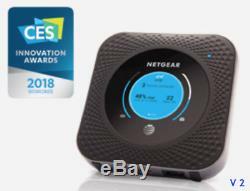 Netgear® Nighthawk® M1 (Model Number: MR1100-2A1NAS) is the world's first commercial gigabit class LTE mobile router, powered by the Qualcomm Snapdragon X16 LTE modem along with Qualcomm Wi-Fi solutions, Netgear® Nighthawk® M1 could support LTE Advanced Category 16 with 4 x 4 MIMO & 4-band Carrier Aggregation technology, and it could achieve download speed up to 1 Gbps. Nighthawk® M1 mobile router is the ultimate travel companion providing the convenience of a mobile hotspot with the full functionality of a travel router, supporting up to 20 Wi-Fi devices on a single connection so you can securely share your mobile internet with family or co-workers while on the go, at home, when traveling for work or pleasure. Key Features and Benefits of Nighthawk® M1 Mobile Router. Superfast mobile broadband internet up to 1Gbps download/150Mbps upload. 4G LTE Advanced Category 16 with 4-band Carrier Aggregation. Ethernet port and 2 USB ports (Type A and C) for media streaming from microSD, USB or external hard drive to all connected devices. Wi-Fi/Ethernet offloading capabilities so your device connections move from the car (LTE) to your hotels internet. Always-on connection shareable with up to 20 Wi-Fi devices on-the-go. Parental controls filter and scheduled access to online content. 802.11ac and Dual-Band 2.4GHz/5GHz dual concurrent Wi-Fi for increased network performance and reduced interference. Simple, intuitive NETGEAR® mobile app user experience to monitor data usage, manage device and network settings from an iOS or Android smartphone or tablet. Powerful, long-lasting battery for up to 24 hours of continuous use. Improved JumpBoost feature to charge smartphones and small portable USB devices. Two TS-9 connectors available for optional 4G/3G antennas. Simple setup with no software to install just power on and connect. Netgear® Nighthawk® M1 Technical Specifications. Max 1 Gbps download speeds, and 150Mbps upload speeds. LTE CAT 16, 4-band CA and 4x4 MIMO. Up to 4X Carrier Aggregation. LTE/4GX Bands 1/2/3/4/5/7/12/ 14 /29/30/66 (700/900/1800 /2100/2600 MHz). Preemption services will remove active sessions from non-first responders when network resources are scarce or fully occupied in times of emergency. WiFi 802.11 b/g/n 2.4 GHz. WiFi 802.11 a/n/ac 5 GHz. Micro SD with Media Server. Max Theoretical Downlink Speed: 1 Gbps. Dimensions: 105.5 (L) x 105.5 (W) x 20.35 (H) mm. Weight: 240 g (with battery). External Display: 2.4 LCD panel. Battery Life: All day & Night - 5040mAh battery for all day use. Dual TS-9 External 3G/4G Antennas Connectors. NETGEAR® Nighthawk® M1 Mobile Router. Removable Lithium Ion (Li-ion) Battery. 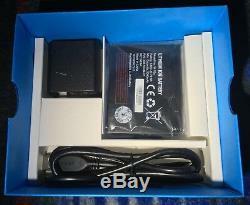 Qualcomm® Quick Charge 3.0 Power Supply. The Nighthawk® M1 mobile router is the ultimate travel companion providing the convenience of a mobile hotspot with the full functionality of a travel router, supporting up to 20 Wi-Fi devices on a single connection so you can securely share your mobile internet with family or co-workers while on the go, at home, when traveling for work or pleasure. Combining ultrafast download speeds up to 1Gbps, support for Category 16 LTE Advanced, 4X4 MIMO and 4-band Carrier Aggregation, Nighthawk® M1 can serve as a media hub for streaming and playing multimedia entertainment. With a simple and intuitive app-driven user experience, parental control options, an improved JumpBoost feature, and a long-lasting battery for continuous use all day, Nighthawk® M1 delivers mobile broadband like youve never experienced before. The easiest and most convenient way to interact with the Nighthawk® M1 is via the new NETGEAR® Mobile app. Control the key functions of the Nighthawk® M1 via the app, along with Wi-Fi management of the connected devices, storage, security and even parental controls. The app will allow quick and easy configuration of the Nighthawk® M1 device and provides the ability to check data usage directly from the app. The Mobile app also allows viewing of media files from the Nighthawk® M1 and play-back on the mobile device. All the control is in the palm of your hand via the Mobile app without the need of ever taking the Nighthawk® M1 out of a backpack or briefcase. Nighthawk® M1 has no software to install so its easy to set up in a matter of minutes just power on and connect. It provides a portable, instant internet connection in a wide range of environments, and is perfect for areas that lack physical wiring such as camp sites or regional areas, or for renters on holiday or in short-term living arrangements. If youre a road warrior on a business trip, in a field office or a construction site, Nighthawk® M1 keeps you and your work mates or colleagues securely connected and productive. Max 1 Gbps download speeds, and 150 Mbps upload speeds. LTE CAT 16, LTE Advanced 4-band CA, 4x4 MIMO. Up to 4X Carrier Aggregation and LAA. WiFi 802.11 b/g/n 2.4 GHz; WiFi 802.11 a/n/ac 5 GHz. Manage your data and how much you use. MicroSD with Media Server/NAS capabilities. 105.5 (L) x 105.5 (W) x 20.35 (H) mm. All day & night - 5040mAh battery all day use. Dual TS-9 external 3G/4G antennas connectors. Nighthawk LTE Mobile Hotspot Router. AC charger and USB Type-C cable. Your Premium Mobile Hotspot Router. Fast Mobile Broadband Internet to deliver incredible download speeds up to 1 Gbps and 150 Mbps upload. Supports 4G LTE Advanced Category 16 with 4X4 MIMO, 4-band Carrier Aggregation and LAA. Media Streaming from microSD, USB Type-C or external hard drive to all connected devices. Travel Router with WiFi/Ethernet offloading capabilities. Always-on connection you can count on and share with up to 20 WiFi devices on-the-go. Parental controls to protect or guard access to online content. Increase network performance and reduce interference with 802.11ac and Dual-Band 2.4GHz/5GHz dual concurrent WiFi. Simple, intuitive NETGEAR app-driven UX to monitor data usage, manage device and network settings. 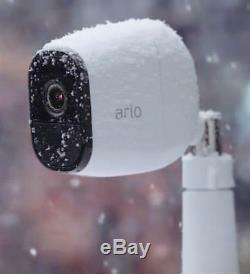 Supports the Arlo Smart Home Security System as the base station for Arlo camera. You can save on your data plan usage by offloading via WiFi or Ethernet once you reach your destination. No need to worry about inappropriate content as the parental controls feature allows you to filter the content or websites by each connected device. And, unlike public WiFi, the Nighthawk. LTE Mobile Hotspot Router offers great peace of mind on a highly secure connection with your own password protected WiFi, control of access rule, guest network, and other security measures such as a firewall and port filtering. LTE Mobile Hotspot Router gives you a flexibility with connectivity option to offload connection from cellular network to existing WiFi or Ethernet so that you can save on your data plan. Unlike public WiFi, the Nighthawk. LTE Mobile Hotspot Router offers great peace of mind on a highly secure connection with your own password protected WiFi, control of access rule, guess network, and other security measures such as a firewall and port filtering. The long-lasting battery can support all-day use, and can keep all your devices connected seamlessly with no downtime as you are traveling between destinations. LTE Mobile Hotspot Router is far beyond the typical mobile hotspot. Share the fun by accessing your favorite media from your external storage or stream your favorite shows from DIRECTV NOW1 or more to connected WiFi devices. Stream your favorite media from your USB, microSD drive or favorite entertainment service like DIRECTV1 for up to 20 connected WiFi devices. The Nighthawk LTE Mobile Hotspot Router is designed to provide a comprehensive one- stop Internet connectivity and media sharing solution for fun-filled family getaways. One simple and reliable device that provides fast LTE speeds. Prepare for long road trips or everyday commutes with stored media that can be streamed locally, without using up your limited data plan. Independently view what you want, when you want. Set up parental controls to safeguard your children or limit their Internet usage. Work or Play from Anywhere, Anytime. Count on the Nighthawk LTE Mobile Hotspot Router to do more with less. Even if you are in a congested area with many surrounding WiFi networks, or if you are in a remote area without a WiFi connection available - the fast speeds brought to you by your own Mobile Hotspot Router will keep any or all of your devices connected, saving you the time of connecting and reconnecting to different WiFi networks. Whether your accomodation is at a hotel or at the campground, the Nighthawk LTE Mobile Hotspot Router can keep all your devices connected, while also supporting your Arlo security cameras as a portable base station. Keep an eye on your belongings and suroundings so you can focus on enjoying your holiday. Bring Your Whole Team With You. The Nighthawk LTE Mobile Hotspot Router provides fast LTE speeds to your entire team while you are on the go or working offsite. Utilize waiting time efficiently while in-transit. Download or upload information for file sharing or collaboration. Maintain data security and employee usage accountability, avoiding the risk of using unprotected public WiFi while working with confidential corporate information. The Nighthawk LTE Mobile Hotspot Router enables mobile businesses to effciently operating virtually anywhere, regardless of whether it is at a temporary or permanent location. Activate instant Internet connectivity for any WiFi device in temporary or mobile stores, without relying on external facilities. Grant WiFi access to visitors or temporary staff onsite. 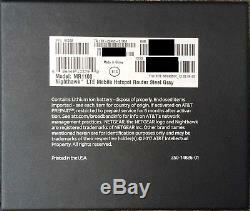 Nighthawk LTE Mobile Hotspot Router (AT&T). Com's lead mobile analyst, Sascha Segan, has reviewed hundreds of smartphones, tablets and other gadgets in more than 13 years with PCMag. He's the head of our Fastest Mobile Networks project, hosts our One Cool Thing daily Web show, and writes opinions on tech and society. Segan is also a multiple award-winning travel writer. The first gigabit LTE hotspot. It's also a travel router and a backup battery. It's an easy Editors' Choice for mobile hotspots if you've chosen AT&T as your carrier. Bridging the gap between hotspot and travel router, the Nighthawk is pretty big. It's a 4.14-by-4.14-by-0.75-inch square (HWD), weighing a hefty 8.5 ounces. That allows for a big, removable 5,040mAh battery, a small 1.4-inch, 320-by-240 color screen, and an unusual selection of ports: a USB-C port for charging and laptop tethering, a USB-A port for storage and for charging other devices, and an Ethernet port. Let's talk about that Ethernet port, because it's kind of confusing. It's basically input only. You use it in travel router mode, so you can create Wi-Fi from a wired connection. You can't use it to connect a PC or a bridge to AT&T's network via Ethernet; for that, you need to use the USB port. Boot up the hotspot for the first time, and it asks you to log into its web interface for configuration. The interface is clean and easy to use, and it gets you setting up passwords and SSIDs quickly. You can also configure the hotspot with Netgear's Android or iOS app. We only have one criticism about the design: There's no touch screen. Instead, you tap the power button to cycle between status/data usage and password display screens, and you log into the web portal to change settings. A touch screen would streamline things nicely. Mobile hotspots tend to have crippled configuration options, as compared with modern routers. That's not the case with the Nighthawk. You can blacklist or whitelist devices and sites, and flag some devices as able to avoid your site blacklist. You can block the entire internet on a time schedule. You can do port forwarding or filtering, UPnP, DLNA, or a DMZ. You can set up separate 2.4GHz and 5GHz networks, and a guest network. You can use the microSD card slot under the cover or a USB stick to turn the hotspot into a media server. The My Media function shares media files to either PCs through the hotspot's web interface, or phones with Netgear's mobile app. You can play the media on phones, and also download it on PCs. Unlike other hotspots I've seen with this function, it isn't slow. The router supports dual-band 802.11ac. It can use AT&T's LTE network as backhaul, an Ethernet connection, or another Wi-Fi network, although if you're using it as a Wi-Fi extender, it's single-band only. Wi-Fi range is excellent; at 5GHz, I didn't see much degradation at 100 feet. AT&T's Network and Plans. The Nighthawk pulls the best possible performance out of AT&T's network. The problem is that AT&T's network isn't doing too well at the moment. According to Ookla Speedtest Intelligence, AT&T is now in fourth place on network speeds, in part because its wireless spectrum is often assigned in many narrow channels rather than a few wide ones. That varies from city to city, of course. AT&T is particularly weak in New York, where we tested, which made it difficult for us to push the hotspot's capabilities. But if you go to Indianapolis or Austin, you'll find much better performance. Since we have to make a nationwide recommendation, our current choice is Verizon as the top hotspot carrier, due in part to our own tests for the Fastest Mobile Network. AT&T's hotspot plans are less expensive than Verizon's, and more expensive than Sprint's or T-Mobile's. Hotspot hardware isn't very good. The Nighthawk's Qualcomm X16 modem is the best in the business right now. It's certified for gigabit. Performance on AT&T's network, which AT&T calls 5G Evolution. It isn't 5G, that's just marketing. Gigabit LTE combines up to four different channels of spectrum, with 4x4 MIMO antennas on two of them and 256 QAM encoding on all of them. 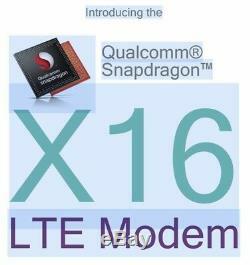 The X16 is one generation newer than the X12 modem, which is in the AT&T Unite Explore. As well as Verizon's Jetpack AC791L. The newer modem moves from three-channel to four-channel aggregation, and increases the 4x4 MIMO flexibility from one frequency band to two. AT&T's network in New York has been getting better over the past year, but not at the rate the other carriers have. When we tested the AT&T Unite Explore last year, we rarely got over 10Mbps; now we're getting up to 40Mbps. But that still falls short of speeds we've seen on the other three carriers. Because AT&T's network isn't at its best in New York, we had trouble pushing the Nighthawk to its limits. At seven locations, compared with a Samsung Galaxy Note 8. Sometimes one was faster, sometimes the other was. We never saw a speed higher than 40Mbps on the hotspot, but once again, we haven't seen great speeds on AT&T in New York all year. But the specs here bring heat. First, there's LTE bands 1/2/3/4/5/7/12/14/29/30/66. That covers everything AT&T uses right now, as well as European roaming bands. There's also tri-band HSPA+, with global roaming on 2100MHz. Finally, there's that gigabit modem. RF signal is very good, but if it isn't good enough, there are two standard TS9 connector ports for an additional antenna. Battery life is excellent, at 19 hours, 49 minutes of solid LTE streaming. You can also use the battery to charge phones or other devices through the USB-A port. And Unite Explore hotspots are cheaper, smaller, and easier to use because of their touch screens. But they don't have the Nighthawk's gigabit LTE prowess. The Velocity is several steps behind. The Unite Explore, with its X12 modem, has all of the Nighthawk's AT&T bands and can come quite close on performance. If you trade in an older hotspot for the Nighthawk, you're likely to see a big jump in performance, but that isn't the case for the Unite Explore. On AT&T, the Nighthawk's connectivity advantages over the Unite Explore are largely in the future. The difference between the X12 and X16 modems comes with four-carrier aggregation and 4x4 MIMO on multiple carriers, technologies AT&T generally hasn't turned on yet. The carrier has previously said it would be introducing 4xCA. At the end of 2017, so the Nighthawk will probably open up some performance differences with the Unite Explore in the future. And much as I like the Unite Explore's compact build and rugged nature, the Nighthawk takes the modem to the next level, and hotspots are all about connectivity. That makes the Nighthawk our new Editors' Choice for mobile hotspots on AT&T. After 22 gigs of usage AT&T. Top 5% of high data users in areas of high network congestion. And data speeds will go back to max as soon as congestion clears. His is not the same as Throttling. Which imposes significantly slower speeds for the remainder of the service period. Of whether there is network congestion. I Have Never Experience This. The item "AT&T 5G Evolution UNLIMITED Data Gigabit Router Hotspot Netgear Nighthawk M1" is in sale since Sunday, September 30, 2018. 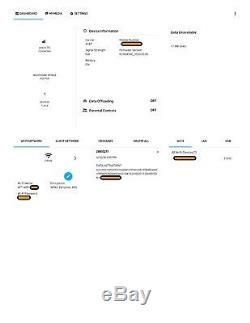 This item is in the category "Computers/Tablets & Networking\Home Networking & Connectivity\Mobile Broadband Devices".bat" and is located in Austin, Texas. This item can be shipped to United States.